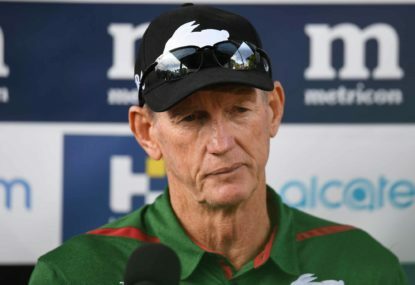 South Sydney have made it back-to-back NRL wins to open the Wayne Bennett era after easily dispatching of St George Illawarra 34-18 on Friday. 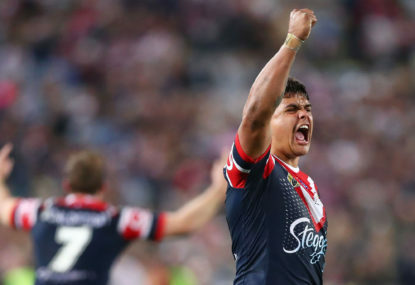 A week after beating Sydney Roosters in the season opener, the Rabbitohs used a dominant second-half to fight back from a six-point halftime deficit. It was Sam Burgess who was the catalyst, scoring a try and setting up another in a game-turning four-minute period early in the second period. “That’s what he brings. He’s one of the best forwards in the game and one of the best forwards that ever played the game,” Bennett said. Dragons coach Paul McGregor said it was the second week in a row his team were unable to replicate a strong first half effort. “For two weeks in a row, they had six sets to one and scored two tries in seven minutes. And the game swung the other way,” he said. Greg Inglis’s retirement from the NRL brings one of the competition’s most illustrious careers to a close. But just how good was he? 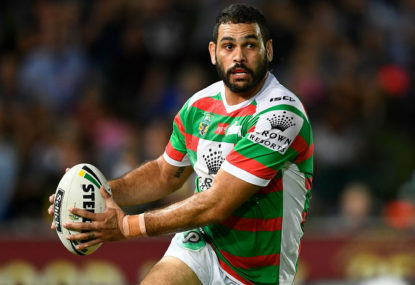 South Sydney Rabbitohs captain Greg Inglis has announced his immediate retirement from the NRL at a press conference on Monday morning. Well this is a turn-up for the books: Andrew Fifita said something worthwhile this week.